The lovely people at Joe Blogs Network, let me know about this awesome competition that Transun are currently running. You can find all the details here but ultimately the selling point is – win a holiday to see the Northern Lights!! Way back in September of last year, I officially started a Bucket List. The third thing on that list, is see the Northern Lights. Winning this competition would be a total dream come true for me, as the Northern Light is now my top travel destination. Previously it was visiting Florida, but as regular readers of my blogs will know, I just got back from that once in a lifetime trip and I’m so truly grateful to my mum for making it possible (she paid for the trip as a treat for my family – we’d never have afforded it ourselves!). Anyway, here are my current top three travel destinations, as per my Bucket List. Yes it’s the prize for this competition, but truly, seeing the Northern Lights is definitely top of my bucket list destinations. For as long as I can remember, I’ve always wanted to see them. Such a beautiful natural phenomenon, I even wrote about them back in November 2013, under the topic of Light. It’s not an all inclusive holiday, there’s no meeting Mickey Mouse and I’m sure it wouldn’t be the best place for a tan, but it really would be the most beautiful holiday on earth. I genuinely hope that it’s a trip I get to make one day, as it would truly be a breathtaking experience and one I’d love to share with someone special like my partner Chris. As you can probably tell, I’m definitely a natural beauty type of person. Sure I loved Florida and Disney World, I loved sightseeing in New York, but really we take for granted some of the most beautiful places to see, those that occur more naturally. Visiting Niagara Falls has always been something I’ve wanted to do, though realistically I’m not sure it’s something I’ll be able to make happen. That said I’d like to see the Falls, both in the daytime and at night time if I am able to go, because I believe the two are quite different and both spectacularly beautiful. This last choice is a little different to the rest and really just reflects my inner-geek. As much as I’d love to visit several places in the USA, San Diego calls me, solely for its spectacular Comic Con. Just last year I visited London Film and Comic Con for the first time and this year we might venture to MCM Comic Con in London too. However San Diego would be the ultimate goal for a Comic Con, as its heralded as the “main” comic con in the world. Not only would I love to visit the con, I’d love to get photographs and autographs of all the celebrities that just don’t visit the UK – or at least rarely. I’d also love to cosplay and really throw myself into, spending loads of time planning my costume and making it myself. Of course, while in San Diego I’d take in some of the sights, but the convention would be the destination, the rest an awesome addition. So these are my three bucket list travel destinations, though I have loads more. Traveling is something I thoroughly enjoy and just don’t get the opportunity to do enough, so given the chance I’d visit everywhere once! Fancy entering the competition yourself? Be quick as it ends today! Another memory maker photo for this week. This was towards the latter end of our holiday, taken in Hollywood Studios. The girls (and I) were very excited to be meeting Baymax, especially since he isn’t planned as a permanent feature! One of many Disney Memory Maker pictures. This was taken in the first week of our holiday, at breakfast in the Grand Floridian (1900 Park Fare). It’s not necessarily the best of pictures but I love their outfits and the fact they were holding hands! Samantha writes for Coco Butter Blog about fashion, beauty, lifestyle and everything else in between. If she’s done something, you’ll read about it on the blog later! When my husband and I decided to get married, one of the biggest decisions we had to make was about where we wanted to go on honeymoon. Being a bona fide sun worshipper for me, the choice was simple – an all-inclusive hotel somewhere super exotic where the only things to do are swimming, watersports and sipping cocktails at the swim up bar. However, my then-fiancé is not so keen on sunbathing. He resembles a lobster after a couple of hours of laying in the sun and he gets bored within ten minutes of sitting down. So we needed a holiday that would keep both of us happy. My mum was the one that suggested a twin centre holiday – one week in Orlando, Florida at the theme parks and one week in a resort in the Bahamas to keep us both happy. After all, marriage is all about compromise so we should definitely start as we mean to go one. I can’t lie, I possibly might have been even more excited about the honeymoon than the wedding! I had been to Florida once before but about ten years ago and so it was definitely about time for a return visit and we were about to find out why Disney World really does make an awesome honeymoon destination. On our first day on the parks we visited the Magic Kingdom, perhaps the most famous of all the Disney parks and the happiest place on earth. We bought matching his n hers wedding mouse ears – mine were white with a veil while his were black with a miniature top hat and tails. We were also given huge badges with Happily Ever After on them – like a real fairytale! With our mouse ears on, every single member of staff congratulated us on our marriage, asked us about the day or offered to take a picture for us and we felt really special for the entire day. We also met another couple who were also wearing wedding mouse ears which made for even more added novelty! Even strangers congratulated us in queues and while we were walking around which was amazing – as soon as you get married you want to tell the whole wide world and this was doing exactly that. Disney World is a place where so many amazing memories are made whether it’s the thrill of the enormous rides, the colour of the daily parades or just spending oodles of time together. There’s a wonderful magic about the whole place for all ages, whether you’re five or 55 and it is the perfect place for celebrating your marriage. And then there are the fireworks displays. They are amazing and totally emotional – my favourite ones were the Frozen ones at Disney Studios. Set to the soundtrack of the biggest Disney film ever, they were extravagant and beautiful, lighting up the entire sky and filling me with emotion. Standing there watching them with my new husband’s arms around me felt absolutely amazing and it’s something I’ll never ever forget. If you want a relaxing holiday after the stresses of planning a wedding, then I wouldn’t suggest this is the way to go. But if you want to make some amazing memories with your other half that will last you all your lifetime then I would definitely recommend a honeymoon at Disney World. Even better – combine a week here with a week in the Bahamas like we did and you can have the best of both worlds. Thanks so much to Samantha for sharing her Disney experiences on my blog, while I’m away on holiday. Hey! So this post should really have gone live earlier today but unfortunately I didn’t get time to finish it (I spent the evening sewing a blue Cinderella inspired skirt). As such its a little late on this evening, but even if it had been tomorrow, its still technically 3 weeks to go, because we actually fly on the Thursday. If you’ve read my other posts, you’ll know that I’ve covered the preliminary planning (accommodation, flights and park tickets) and then pre-planning for the things you want to do (character dining, photo passes and fast passes). This week I want to share with you my actual physical planner, with our actual plans! At first, my planner didn’t start off as an actual planner. Instead it started off as the odd print off here and there. However as my planning grew (especially with the fast passes booked) it seemed like a good idea to get some sort of organisation. As such I created this planner, with a folder I already had kicking around and a whole bunch of freebie stuff. The first page is a calendar, but only really of the days we’re on holiday. I googled for an April 2015 calendar and then chopped it down until it only had the days I was interested in. I then printed it off and completed it – in pencil of course, in case there were any changes! After that came the maps. I’d found these a week or so earlier, but I’d printed them off and stapled them together in various forms. I had a map for each park – Magic Kingdom, Epcot, Animal Kingdom, Universal Studios etc. and also ones for Downtown Disney and Universal’s CityWalk. Each one of those got a separate pocket in the folder so I could see them easily. Along with that map, I’d also downloaded some Character Meet maps from Kenny the Pirate. I slid these into the same pockets (Disney only), but back to back so I could see both sides. After the map sections, come actual planner sections. These were free to me, because Amy sent them to me, but I know she originally bought them off Etsy. I personally wouldn’t have bothered buying something like this and probably would have just made a few pages in Word, but I have to admit they do look lovely and give a sort of uniformity to the planner. I printed one for each park and slid those into separate pockets too. The Ride Plan page is really the only one I’ve used for each park, but it contains space for Park Opening Times, Crowd Predictions, Fast Pass Reservations, Ride Wishlist and then Notes. This was really all I wanted. As I began to fill them in, I realised that it would perhaps be better to have a few more for Magic Kingdom, as its the one park we have plans to be in for more than one day. After completing my planner page for Epcot, Animal Kingdom and Hollywood Studios, I printed out a further three copies of the Magic Kingdom one (four in total) and completed these too. It seemed natural to place them in date order and so almost unintentionally I was making a day by day guide. Because of this, I decided I would like a similar thing for my days in Universal and also at Kennedy Space Center. I went searching the internet for Universal Orlando planners, but basically drew a blank. There was something on Etsy which I did actually buy (it was less than £2) but to be honest it was rubbish and not worth the money. However it gave me a basis and a place to start, so instead I chopped it around myself and edited it, making it be what I wanted it to be. I made one page of solely Harry Potter rides and attractions -in both Universal Studios and Islands of Adventure – and two pages of all the other rides and attractions – one for Universal Studios and the other for Islands of Adventure. I then printed these off and gave them their own pocket, marking out the days in my planner that would be designated to them. After that I researched into the Kennedy Space Center. We already have our tickets and although they’re not for a definite day, we do have one in mind for visiting. I looked up how far away it is from where we’re staying and also some directions to follow. I printed off a complex map too so at least we have a rough idea of what there is to do and how long it might take us to look around. Finally that just left the things like dinner reservations, flight info and accommodation. Although I already have the information written down elsewhere, I figured I may as well complete it, just so that it makes one whole complete planner – and perhaps a souvenir of our trip afterwards. So now I had a page for almost every day that we’re away, not including the day we fly, the two days after we arrive and the two before we leave. I realised it was likely that we’d probably spend another day in Magic Kingdom at some point, so I made a blank page and listed all the other rides and activities I wanted to cover, that weren’t already FastPass’d on other days. I figured this would give me a good place to start for what was left to do and what we wanted to do. With every day we spent in Magic Kingdom I could mark off anything we’d managed to do, so by the end of the holiday I could see what was left. The whole thing was really simple and easy to do and since doing it I feel a lot more organised and ready to go. Whenever I think about something I need to do or want to make a note of, I just go to my planner and add it there. Since making it I have gone through it several times and even sat and gone through it with my mum. I’m pretty proud of all the work it contains and fingers crossed it will give me all the information I need when we’re away on holiday! Next week I’ll be updating on the shopping we’ve done for holiday – the girls shopping trip to Meadowhall and Chris’ birthday present clothes. It will include the dresses I’ve most recently bought from Hot Topic and also the clothes I’ve made for us to take with us! Please come back next Wednesday to see what else I have to share with you!! As I mentioned last week, in my initial post Florida 2015 – The Planning, I do love to plan. However I also mentioned that when it comes to a holiday, I like to leave room for flexibility. I’m not one for itineraries and agendas, I don’t want every day planned out. That’s exactly how I’ve had every holiday in my adult life… until now. If you’re heading to Orlando and you’re wanting to make the most of your holiday, there are definitely some aspects I recommend you plan in advance. That’s what this post will focus on – the things to do when you’re there, that you should plan in advance! Of course, like I mentioned last time, you need to make sure your passport is up to date (renewal costs around £46 for kids and £72.50 for adults, so it’s an expense you should take into account too). Usually it’s recommended that you do this several months in advance but in my experience, a passport is usually returned to you within a week or so, especially off peak. You also need to apply for your visa, under the ESTA (Electronic System for Travel Authorisation). This costs $14 per person – a charge of $10 for the visa and then $4 for admin fees, which works out around £9-£10 total. Don’t leave it too late, just in case you have any unexpected problems! Finally, another essential is of course travel insurance. My mum has an annual policy but I just used Travel Supermarket to compare the prices for a family of four. I’ll be honest and admit I just picked the cheapest but they all seemed to offer very reasonable amounts of cover so I wasn’t cutting corners. This cost around £32 (I also checked Compare the Market and Confused but generally Travel Supermarket came out a pound or two cheaper than the other sites, for the same quotes). Not all of those things needs to be done immediately when you first book your holiday, but you do need to write them on your “to do list”. However, once you’ve got all the essentials spoken for, you need to consider what else you’re wanting to do. My first tip would definitely be to buy a book specifically for Florida, or even better Orlando. Even if you’re going specifically for Disney World or even the Wizarding World of Harry Potter, its great to get a general book to begin with as it will cover the basics of everything there is to do and therefore help you narrow down where your interests lie. Guide Books – I personally started off with Brit Guide Orlando 2014 (Brit Guides) , a book which came with a 4.5 rating on Amazon. It was a great read and very thorough – including some great tips. It included everything from villas and hotels, to each park with map and break down of attractions, to everything else there is to do in Orlando, including eating out and shopping. However as I bought it early in 2014 (published October 2013) and my trip is April 2015, I soon realised a lot of the information – especially with regards to Universal Parks and Walt Disney Parks – was out of date. Nonetheless it was a great starting book and nearer the time (i.e. February 2015) I paid out for two newer books, one for Universal and one for Disney. These also included information on booking hotels, but obviously at that stage I wasn’t interested in those things. To be honest, I don’t think you really need a book to help you book accommodation – just some common sense and probably Google. After reading a guide book, you’ll hopefully have a better idea of what you’re looking to do. If Walt Disney World is part of your trip, then I highly recommend downloading the My Disney Experience App to your phone or tablet, or signing up for the Disney website and using the My Disney Experience options there. Character/Themed Dining – I do know that Universal Orlando has some character and themed dining options, but I want to be honest and say that I’m not at all interested in that so I’ve made no bookings and have no experience of what to do when it comes to booking for Universal Studios or Islands of Adventures. I do however have several reservations for Disney, so that’s really what I’m focusing on. Dining at Disney World (parks and resorts) can be booked 180 days (6 months) in advance. Some of the dining is VERY VERY in demand and unless you’re lucky, there’s a high chance you’ll miss out unless you get in there at the earliest moment. If you’re staying in a Disney Hotel you can actually book ALL your dining, at 180 days from your first day (you have to ring up though), meaning you’ll get in before a lot of other people, especially for the harder to get dining. I was lucky because my best friend Amy is visiting Florida at the same time as us and staying in a Disney Hotel, where we’re staying off-site in a villa. Because of her we have all the dining we wanted, even the most sought after. While a little tricky, Cinderella’s Royal Table for breakfast was possible, just using the regular 180 days. However Be Our Guest for dinner proved to be virtually impossible. It was only because she rang to enquire and realised she could book slightly further in advance, that we were able to secure this booking, literally a few days before we go home. Also, at the time we originally booked all our dining, Be Our Guest was only available as a dinner reservation. This system has now been changed and you are able to book lunch reservations too – though this is quick service and not table service dining. We’re now booked in for lunch there too. As well as the three bookings I’ve already mentioned, we also have breakfast booked at 1900 Park Fare, which is located in the Grand Floridian Resort and has Alice in Wonderland characters in attendance, along with lunch at Akershus Royal Banquet Hall in Epcot which has Princesses Storybook Dining on offer. The only other thing to note really is that all of these reservations require a credit or debit card to secure the booking – however only Cinderella’s Royal Table requires (full) payment in advance. FastPass+ – While Character Dining is obviously an optional extra to your holiday, if you’re planning to do anything in any of the Disney Parks, FastPass+ really isn’t that optional. Yes you can try without it and yes its still possible to get on all the rides you want to, but honestly if you’re hoping to avoid as much queuing as possible, plus fit in as much as possible, FastPass is really the best way to go. For people staying in a Disney Hotel, FastPass is available at the 60 day mark. For those staying off-site and purchasing their tickets separately, FastPass booking starts at the 30 day mark. Again, thanks to Amy, we were able to book the majority of our FastPasses at the 60 day mark, due to the fact she’s staying in a Disney Hotel. However the only problem with that is she could only book us all the same FastPasses as her, rather than pick and choose for smaller numbers within our party. As such we have a few bookings that need altering when it gets to our 30 day mark, but I’d rather have that than not have them at all. The best thing about FastPass is that it’s completely free and just included with your ticket – so need to worry about high costs, just to cut queues. For all four of the parks, each person can only hold three FastPasses at a time. In Magic Kingdom and Animal Kingdom, you can book any three attractions or rides (providing they have FP options), however in Epcot and Hollywood Studios, there is a Tier system, where you can only book one from the A group and two from the B group. It’s a bit complicated but if you some searching you’ll find lists of what rides and attractions fall into each group and hopefully figure out what suits your family/group best. The three FastPasses you are able to book in advance, all need to be within the same park. However once you’ve “spent” all three passes, if you move on to another park (say later that day/afternoon) you will then be able to book further passes in another park. This applies even if you’re not moving to another park, that you can book extra FastPasses. Just visit a FP kiosk and see what’s available to book. It is worth noting that some FastPasses are better to have than others, depending on what you’re hoping to achieve. Most shows are available on FP for example, but if you’re not too fussed about “the best” seats, then its probably not something to worry about. Likewise if you’re not too worried about meeting characters, these FP options can be skipped as well. If you’re happy to choose according to has the shortest queue at the time, then you’ll not need a FP. However if you’re dead set on meeting Anna and Elsa – by all accounts, FP is a must. That said, they also fly out as fast as they become available, so be prepared to book early and maybe even take a reserve list option! It’s worth researching which rides gets the busiest and which rides generally don’t. This will help you decide which three options you should “spend” your FP on! Express Pass – Again, while I have no experience of booking this (or even wanting it), its worth mentioning that Universal has their own version of FastPass, called Express Pass. As with Disney, not all rides have the Express Pass option, but a large amount of them do. However unlike Disney, the Express Pass is NOT free. Prices start at around $60 for both parks, or $50 individually. Since the website states “starting at”, I can only imagine that these prices are for whatever the basic version and the more you pay, the better your Express Pass options are. If you stay on-site with Universal, then Express Pass IS included in your tickets. From what I’ve read, this is the most cost effective way to purchase the Express Pass, by actually just booking a day or two at an actual Universal Hotel. I do think its important to note though, that not many of the Harry Potter rides are included in the Express Pass. Exempt from the Express Pass is; Harry Potter and the Escape from Gringotts, Harry Potter and the Forbidden Journey, the Hogwarts Express and also Ollivanders (technically a shop but since it has a sort of pre-show, I figured it was worth mentioning). This means the only Harry Potter ride you can use the Express Pass on is Flight of the Hippogriff. That said, there are loads of other great rides that will definitely benefit from you having Express Pass. 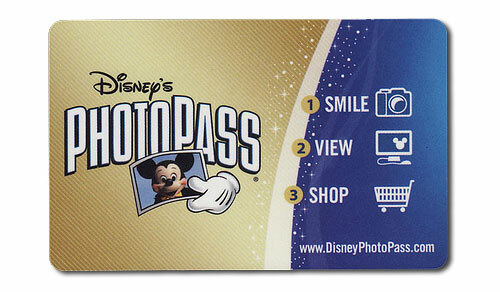 PhotoPass – Disney World offers a complimentary service called PhotoPass to all their park guests. Photographers are located around the parks and after having your first picture taken you will receive a PhotoPass card that you can then use each time you have a picture taken, placing all your photos together in the same place. After your holiday you just go online and make an account, using the PhotoPass to retrieve your photos. If for whatever reason you’ve acquired more than one card, its not a problem as you can just combine all of the cards into one online account. You can then view the photos and make edits, whenever you want. Now of course, with it being a free service, that does lead to some disadvantages. While you can view and edit photos as much as you like, you can’t download digital copies – or at least, not without paying. You can pay to download prints (approx $15 per photo), you can pay to have printed copies made, you can pay to get your photos put onto certain objects (like a t-shirt or mug). However every little thing you want to do, will cost you money. Also because all photos expire at some point, it does mean that if you don’t download them and you haven’t bought prints, then you will lose the pictures eventually. Of course there are options such as a photo CD or photo book, but all of these will cost you extra money. Memory Maker – If you’re interested in using the PhotoPass option but don’t want to get caught out with the prices afterwards, there is another option. It’s quite expensive but overall could work out cheaper. It also gives you more benefits such as ride photos and dining photos too. Disney’s Memory Maker is basically an advanced version of the PhotoPass, which you buy in advance (either months in advance or at the beginning of your vacation). It costs $169 if you book online or $199 if you wait till the day you need it. Having the Memory Maker allows you to not only collect all the PhotoPass photo options, but also have Ride/Attractions photos (and sometimes videos too), along with Dining photos as well. Afterwards you can go online in just the same way as with the PhotoPass and view/edit all of your photos. However with this option, downloading all your photos are free. Of course you can still pay to have a photo CD or place a print on a mug, but at least you know you can download and keep all your photos, without having any hidden costs (especially if you’ve had 1000’s photos taken). Photo Connect – As with most things, Universal have a similar (usually lesser) version of everything Disney has. Instead of Disney’s PhotoPass, Universal offers Photo Connect. It’s basically exactly the same thing, whereby if you get your picture taken in the park or on a ride, you receive a Photo Connect card and you can redeem it later online or within the park to receive a print (paid for, obviously). The Photo Connect card itself is free, but getting a print will cost you money. Also, major downside – if you don’t retrieve your photo that day, in some way, shape or form, then the photo is gone by the end of the day. Star Card – Either in advance, or at the time of getting your first Photo Connect card, you can choose to get a Photo Connect Star Card. This basically upgrades your Photo Connect card, to something worth having for a longer term. Star Cards are available in a range of options, including 1 Day, 3 Day and 14 Day periods. There is also an annual pass too. The standard option in the park is a 3 Day Star Card, with 1 Day and 14 Day only being available to order online. Also, the 3 Day Star Card is $69.95 in the park, whereas it’s $59.95 if booked in advance. Apparently it is possible to extend your Star Card, with options of 1 Day and 3 Day extensions. There is plenty of information available online about this so I would recommend you look into it thoroughly. The main advantage to having the Star Card, is that your photos become available online. Not only that but instead of expiring at the end of the day, they are available for some period of time afterwards, meaning you can get home and download them all safely, without any further cost. Not just that, but also by buying the Star Card, you are able to get certain other advantages. One of these for example is the option to buy prints at a cheaper price. Where a print of a Photo Connect print may cost you $10 each, with the Star Card you can purchase prints for as little as $2. You also get access to a smartphone app, a lovely lanyard to keep your card safe and if my information is correct, a couple of free prints too. A 1 Day Star Card costs $39.95, while a 3 Day one costs $59.95 (when booked online in advance). While you can book these passes on the Universal website, I would strongly recommend going directly through the Photo Connect site. Booking with Universal will cost you $39.95/$59.95 etc plus tax, where as booking through the Photo Connect site will simply cost you the face value price (no tax). Check out all your options before making a decision, especially Shutterbuttons if that’s on your list, as there is a Star Card to include that video too. If you’ve made it this far through my post, then well done! I never expected it to get this long but once you start writing about Florida, it’s sometimes hard to stop! So far I’ve covered booking your dining options in advance (especially Disney’s Character and Themed Dining) along with Disney’s FastPass+. I’ve also discussed the various photography options available. There are loads and loads of other add-ons to consider, Universal’s which can be found here and Disney’s which can be found here. Both Disney and Universal have a variety of Dining Plan options, again with plenty of information available online about them. While we haven’t gone for a Dining Plan with Disney – just booked the specific meals we want to do – I have booked a Dining Plan option with Universal. I’ve bought in advance, though I don’t think that was money saving particularly, though the plan itself is. I paid $19.99 (plus tax, which is approximately $24) per adult and $12.99 (plus tax, which is approximately $15.50) per child, which gives us 1 main course and 1 non-alcoholic drink, in any quick service restaurant (there are a couple of exclusions), 1 snack (from various carts and shops around the park) and 1 non-alcoholic drink (again from carts and shops around the park). This works out at approximately £15 per adult (or £10 per child) for a meal, two drinks and a snack – hopefully enough to last us through the day. To tell the truth, I actually upgraded the kids to the Universal Dining Plan plus Coca-Cola Freestyle. The Coca-Cola Freestyle option is basically a souvenir cup which you can refill during the day, at various locations in the park. Stand-alone price for this is $11.99 each but when bought with a Dining Plan it’s only $6 extra. I know the kids will love trying out the various Coca-Cola flavours and since they’re free refills, I’m sure the adults might benefit from the odd sip here and there too! This concludes my second post in the Florida 2015 series, but I will be back next week with post number 3. From now on I’ll be focusing more on our personal preparations – The Shopping, The Packing and probably the Panicking! Please pop back next week to see what I have to share with you.